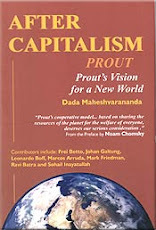 Prout - Alternative economic model for Capitalism and Communism: At the edge of the economic recovery/collapse? At the edge of the economic recovery/collapse? This moment is hovering between destruction and golden time. If the economic recovery would happen - for a while - it would anyhow lead to deepening crises at the end. So the sooner the economy collapses the sooner it leads to ¨golden age¨, we could say. Why? The elitist economists on the top let the common people to loose and suffer, while they appraise the false recovery. They are trying to get all people under their control with the help of so called; democratic framework. When the economy collapses, then I rather see it possible to start to build totally new one, based on fundamentals of welfare, love, justice and sharing. Going down is not a big thing, just take care of your survival in your own hands for some months, and encourage others to do so. The new technologies and free energy will be then also able to arise, probably faster than we could ever imagine. We will also become citizens of the cosmos and come to know our sisters and brother in the other planets. The spiritual uprisal is inevitable and it will give inspiration and guidance. When I hear people saying; “I.m searching” - when it comes question of the faith, I see that as a sing of spiritual awareness rising amongst common folks. What one has to do then in order to tune to the Cosmic call? Search and attend every possible occasion, that could possibly lead you to the source of highest spiritual realization. Your inner self is the only guide, but without making any effort to search around, and be ready to follow those that have found the path earlier, you may advance only in the speed of snail and suffer maximum about failing efforts and lagging behind from the uplifting flow. Often people think I will find the way by myself, yes sure, but it might be as difficult as to learn mathematics without teacher. In spirituality, there is no consideration what others think; if I loose my fame, my career, if I will be hoodwinked against my will, or if I will just waste my time. 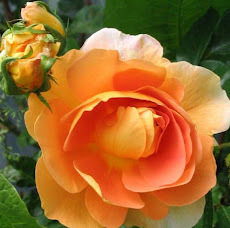 The path is always thorny although the most beautiful roses will be as well blossoming around you. If you just sit and wait, then you are the one to run after the train, which you might reach only on the tail end, while you could sit comfortably on the first class. Be the divine cosmic child, the pioneer, the source of inspiration for others, the light in the dark, the one…. And one to accomplish Prout for the welfare of entire humanity.